Explore the Vendée region, from Les Sables-d'Olonne to the Puy du Fou theme park, both of which are around 40 minutes away. We offer 67 comfortable rooms, including 9 Family Rooms for up to 4 people. Our 8 meeting rooms for up to 350 people are ideal for cocktail receptions, weddings, christenings and meetings. Unique in Vendée, our room measuring 2513 sq. ft. with direct access to the quiet patio is the ideal place to meet for a meal. Our Le Bistro Yonnais restaurant one of the top rated on TripAdvisor. "Le Clémenceau" 350-space PUBLIC car park adjacent to the hotel. Space for one coach. 5 min walk from TGV station and 40 min from Nantes. The Vendéspace complex is 3.1 miles away. Our Le Bistro Yonnais restaurant has a great reputation in the city. UNIQUE IN VENDEE: 8 meeting rooms for up to 350 people, incl. one 2153 sq.ft (200 m²) room. Our 67 modern rooms are all equipped with a minibar, tea and coffee making facilities with kettle, free online newspapers via PressReader and a large flat-screen TV with international channels and beIN Sports. Bathtub or shower on request. 2019 innovation: all of our rooms have cable access. Our Classic rooms are equipped with 2 separate beds and our Superior rooms have a large double bed. For families, our Junior Suites and Privilege rooms can accommodate 4 people. Discover our range of dining choices. We offer a menu packed with delicious local products, guaranteed to suit all tastes! 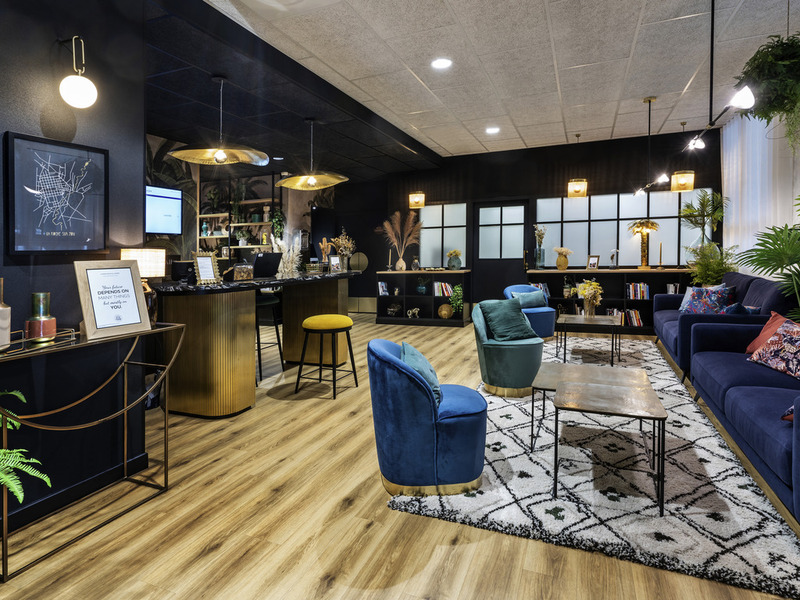 A truly relaxing area, take advantage of our bar to relax with a drink, chat with friends or check your emails and surf the Internet using the courtesy iPad. 청결하게 정리된 룸과 호텔 전체 분위기였습니다.